I have no dash air and can't figure out what is wrong. I do have vent and lower air. I have followed the vacuum line and it's hooked up correctly. It goes below the passenger side Into the firewall (pic in red) where I can't follow it anymore. I have replaced the vacuum control valve and it's still not working. Anyone have any idea on what's next to check! Looks like its working now, but no high fan. Isn't that relay located separately? Now I have no heat, but the vents do work. I can hear the actuator door closing an opening so it's not that. By dash air I assume you're talking about defrost? That vacuum line runs to the heater/AC control head. The controls do 2 things, move the cold/hot mixing door with a cable and operate vacuum motors. This is the part that distributes the vacuum and is on the back of the control head.https://gbodyparts.com/product_info.php?cPath=46_21_174&products_id=2990&osCsid=52e774b95598e228dea6db7ebc30ed4f. You may have one door closing but another not opening. Yes was talking about the defrost sorry. The vacuum switch actually did fix the air flow. The problem now is I do not have heat. It worked till I shut the car off then wouldn't come back on when I got in the car a few minutes later. 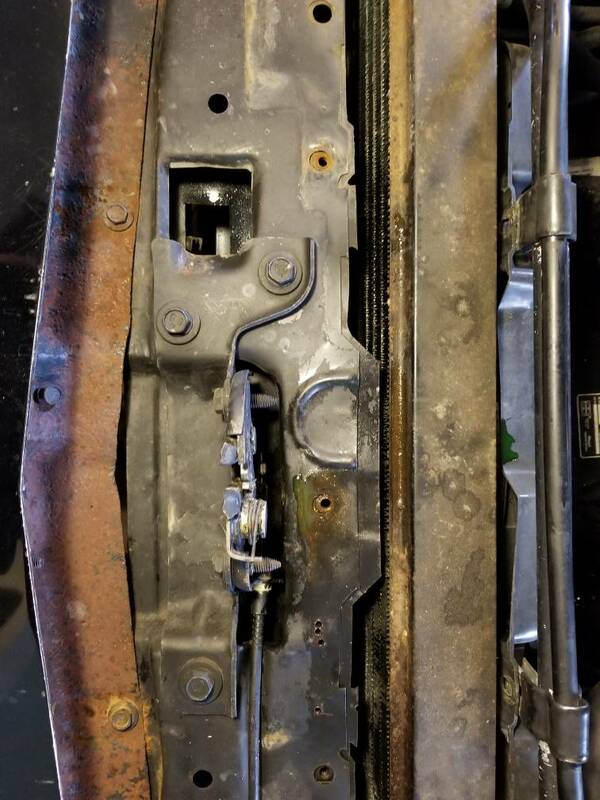 For this reason I don't think it's the actuator door as I did not move it from when the heat was working and the cable is still attached/functioning. See if the valve on the heater hose opens. It's vacuum controlled as well. 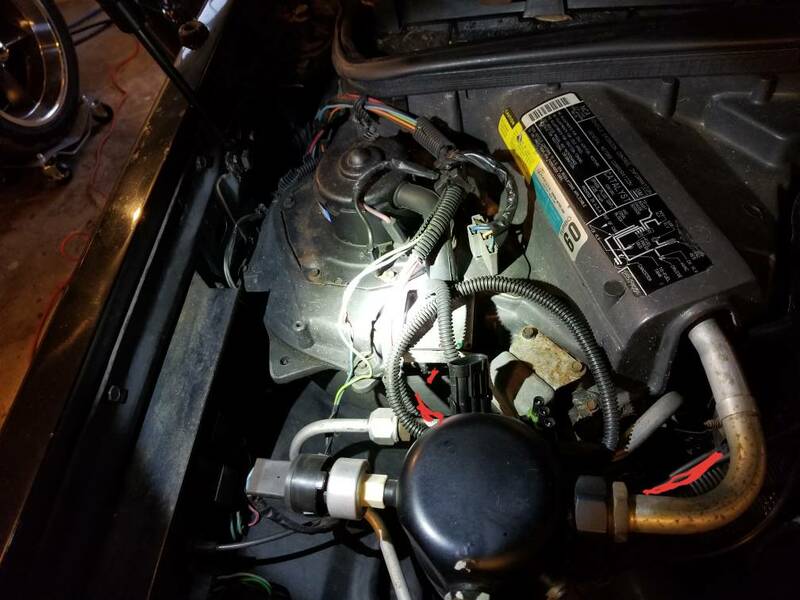 Are you taking about the metal heater valve in the engine compartment? How would I go about testing this? If someone was in the car controlling the heat should I be able to see it move? Look at it, engine running, with the heat off then turn the heat on and see if the arm has moved. You can do it yourself. The little canister pulls the arm in when vacuum is applied. Nothing happens so I'll replace the valve and see if that fixes it. It might be the valve isn't getting vacuum. Apply vacuum first and see if it moves. If it does it isn't the valve. I replaced the valve as it was sticking a little even under vacuum. I now am noticing a radiator leak in between the find somewhere. 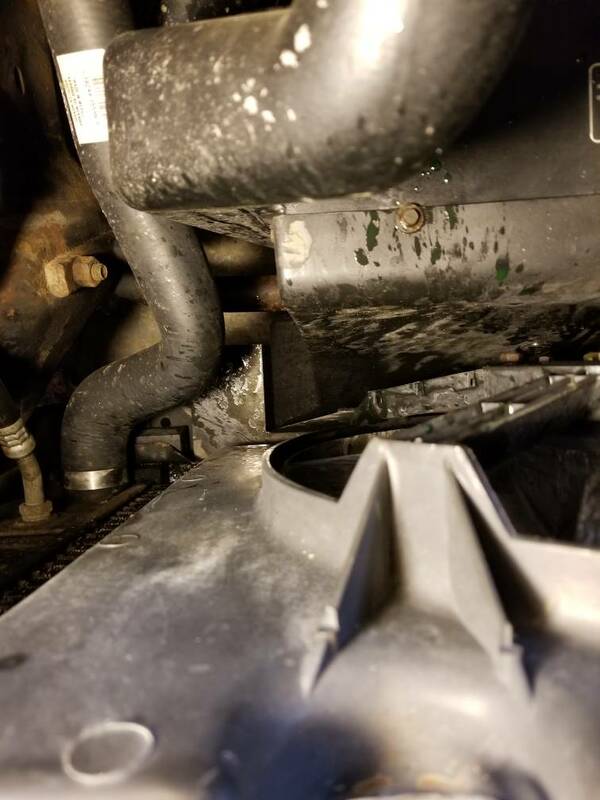 Would this possibly be leading to an air bubble or something as I'm not feeling hot water on the tube going to the heater core. Well you have to get the air out of the system and the thermostat has to be open before you'll feel hot water going through the hose. Can't pinpoint it exactly, but the fins on the radiator are wet and smoking. When driving it throws the fluid around so can't find where it's coming from. I think I'm planning on flushing the system and replacing the radiator. If it's stock and hasn't been maintained it could be corroded through. 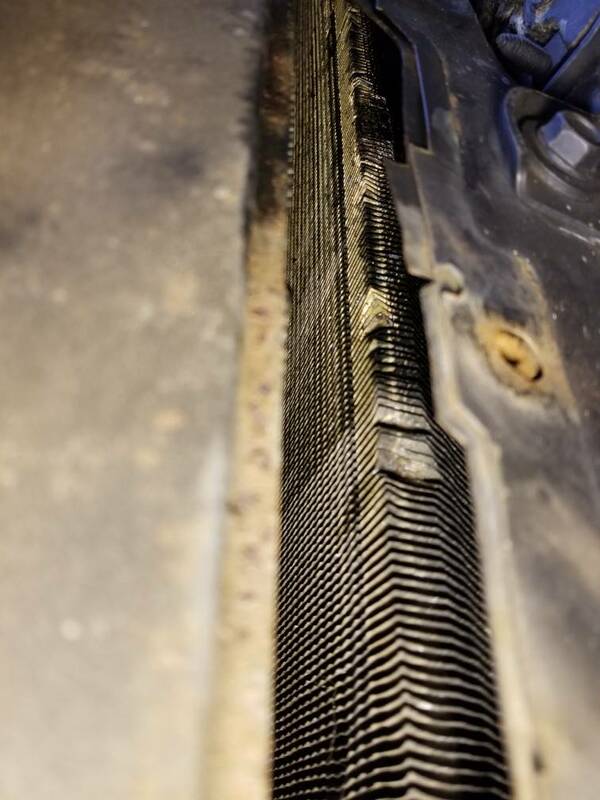 A radiator shop can re core it. Personally I'd go with an aluminum radiator though. Thanks, it's been sitting for about 11 years outside so suspect thats the issue. Plus the fluid is pretty nasty even though it has already been flushed. It's almost as expensive to record hen buy new so probably just going to buy new. Thanks for all ur help appreciate it.